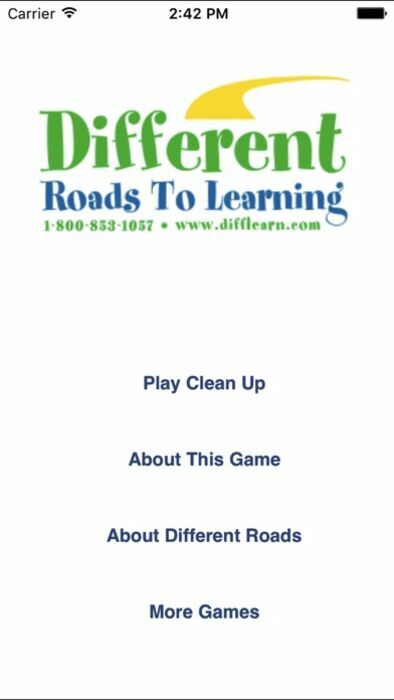 This interactive game develops language, reasoning, and sorting and classifying skills in your learners. 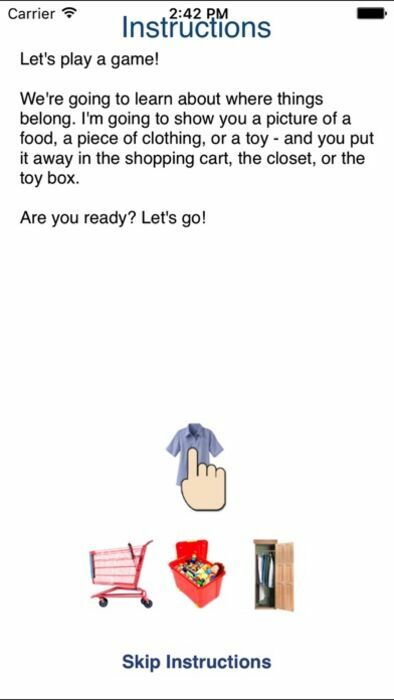 Players must "clean up" by putting 75 photographic images of toys, food, and clothing away in the correct shopping cart, refrigerator, or toy box. Each target is introduced by its label ("Where does the Apple go?") in each round where players see 15 unique images. Correct responses receive visual and auditory reinforcement while incorrect answers are corrected by a visual prompt of the correct answer flashing. After all targets have been seen once, they are reintroduced in a new, randomized order. The App takes data for the percentage answered correctly across rounds as well as sessions in which the App is in use. 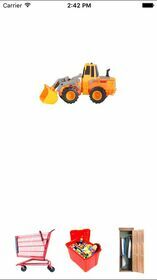 This app builds foundational sorting skills for students just developing their sorting and classifying skills.